Happy Friday! We missed last week (boo!) but are back this week with a treat from one of my most adorable students on Valentine’s Day. I love when something is spelled correctly, and the grammar is fine, but still, there’s just something about a sentence that makes it hard to imagine a native speaker dropping it into natural conversation. This particular one is delightfully poetic, and perfectly appropriate for a teenage girl, who’s heart very nearly explodes on a regular basis! It’s still February for a few more days, but we’ve been getting a wonderful taste of Spring (it’s easily April weather by Canadian standards!) and I’ve been dying to get outside and enjoy the sunshine. What are you guys up to on this lovely weekend? 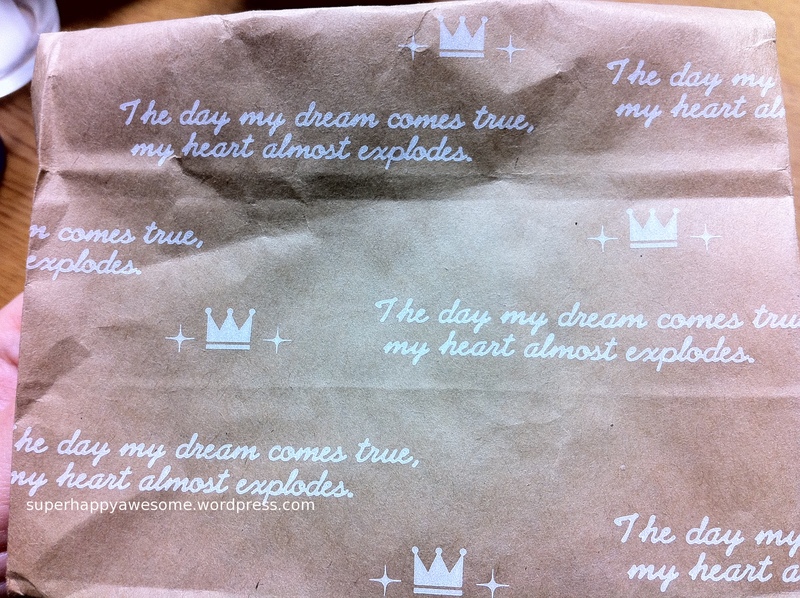 This entry was posted in Engrish and tagged engrish, happy, heart. Bookmark the permalink. 3 Responses to Happy Engrish Friday! It a beautiful piece of prose/poetry (the lines get a little blurry sometimes, don’t they?). This weekend is our housewarming and…um…Confession: I’m so woefully unprepared it’s not funny. Not even a little bit. Ah well.